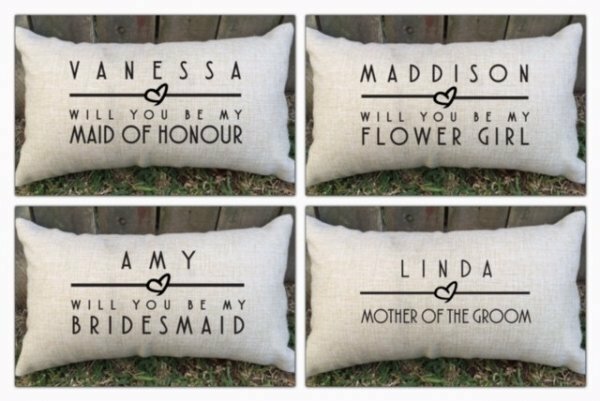 These personalised lumbar cushions are a great gift for the ladies of your bridal party, completely customised with your details. 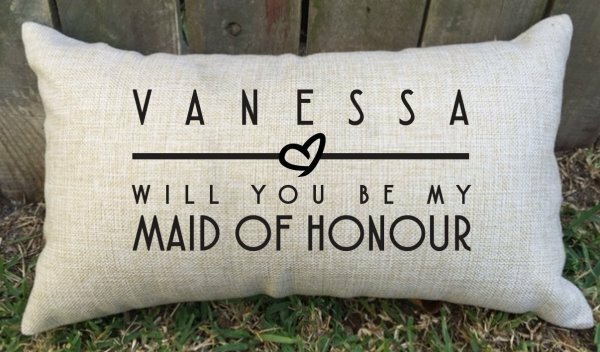 What a special way to ask 'will you be my bridesmaid', a lovely keepsake. 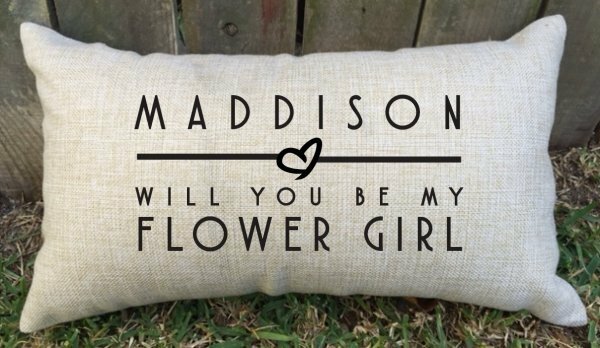 24 lettering colours available, please enter your colour and details above. 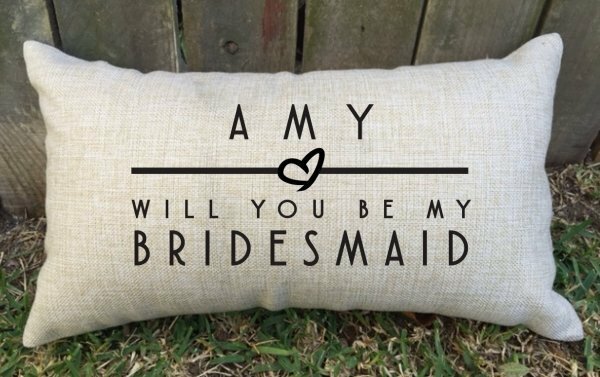 YOu can either have 'Will you be my' printed above the bridal party position or not, please advise if you would like this printed.